NEI Seminars Are Ready to Come to You! Standard Courses or Something Customized Just for You – MCAA’s National Education Initiative (NEI) has you covered! If you need training quickly, this option is for you! Read on to see what we have. John Koontz, MCAA’s national director for project management and advanced supervisory education, shares what he’s learned from 15 years with MCAA contractors and his time as a tenured associate professor with Purdue University’s Department of Building Construction Management. Looking for broad and basic knowledge of building information modeling, or BIM? Brett Endres, a senior project manager and BIM manager at Modern Construction Services LLC (MCS), teaches what he’s learned as he grew his company’s Detailing Department from a group of 2 drawing 2D shop drawings for installation, to a group of 26, providing 3D modeling, estimating, and trade coordination services. 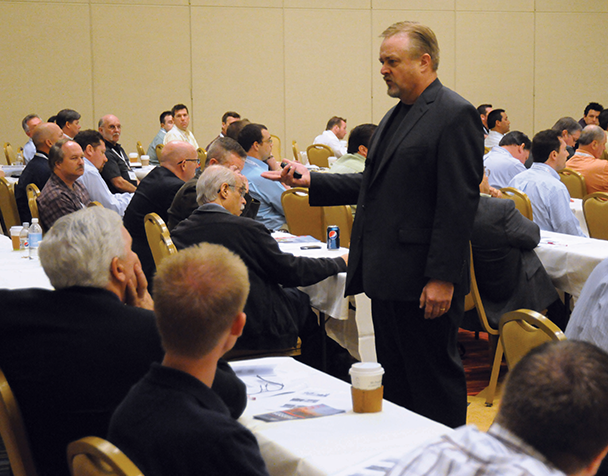 MCAA Past President Tom Williams will help you identify ways to improve project profitability during these seminars. He is the author of MCAA’s Planning for Profitability: Your Guide to Successful Preconstruction Planning and the Successful Project Management Flowchart. These seminars are recommended for groups of no more than 30 participants. John Koontz, MCAA’s national director for project management and advanced supervisory education, shares what he learned during 15 years with MCAA contractors and his time as a tenured associate professor with Purdue University’s Department of Building Construction Management. Kathryn Crosby, former chair of MCAA’s Project Managers Education Committee, helps foremen and superintendents run more profitable, less problem-prone projects. She is the author of MCAA’s popular Project Manager's Manual. James (Jim) McCarl, a nationally recognized speaker with a 30-year career at the helm of McCarl’s, Inc. helps you strategically manage risk. You will gain insights into proven methods for developing effective strategic plans and key factors to implement and maintain them. Don’t see something quite right? Our instructors will work with you to customize a course that meets your needs. Looking for Service Programs for Your Location? MSCA has more than 20! Woody Woodall, an MSCA leader and innovator, shows service project managers how to effectively efficiently juggle all facets of this fast-paced and demanding position. A role-playing case study helps attendees gain a better understanding of the challenges encountered during each step of the project. Nancy Bandy, a professional trainer and management consultant with more than 20 years of experience in corporate training, sales and management development provides tips for navigating the HVACR workplace.